Indiana Jones's signature fedora fetched more than half a million dollars at a blockbuster London auction of rare memorabilia from some of the most iconic movies of the past 40 years. 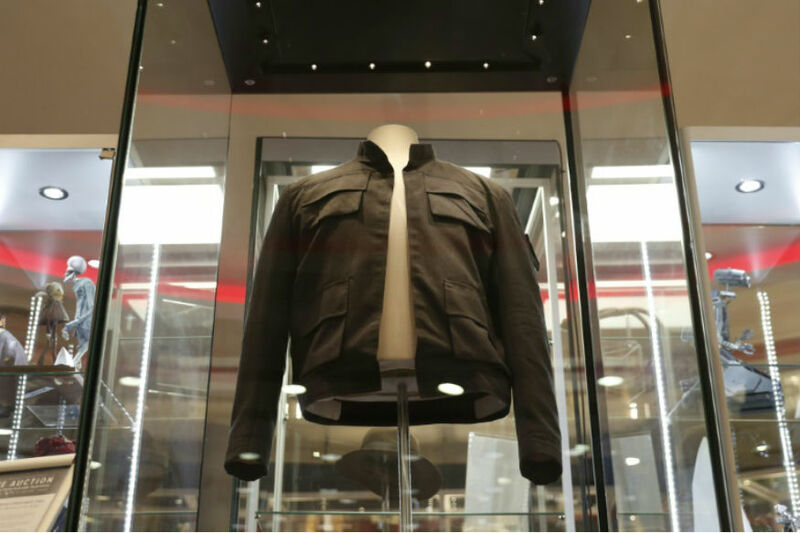 But the star attraction — the sleek jacket worn by the loveable Star Wars scoundrel Han Solo in "The Empire Strikes Back" — failed to clear the £500,000 ($665,000, 563,000 euros) reserve and went unsold. Organisers said they had "a number of post-auction enquires" about the space-travelling jacket and were hoping to strike a deal in the coming days. The jacket oozes cool and appeared in the scene in which Solo dodged asteroids and shot at Darth Vader in "Star Wars Episode V: The Empire Strikes Back". He said "Star Wars" creator George Lucas wanted workaday-looking clothes rather than flashy costumes that might distract attention. "There's some very cool stylised elements, like this triple-stitch banding on the sleeves." Ford's fedora in the Indiana Jones franchise debut "Raiders of the Lost Ark" beat Prop Store's expectation to sell for £393,600 ($522,255). The price includes a buyer's premium paid to the auctioneer. The hat cost £320,000 when the winning bid was placed and the hammer struck. One of the most recognisable hats in film since Charlie Chaplin's black bowler is signed on the inner sweatband by Ford himself. The fedora was "sat upon, wrung repeatedly and treated with bleach and dust" ahead of filming to achieve a worn look, according to the auction catalogue. Another hot item is the neon pink and green hoverboard ridden by actor Michael J. Fox's character Marty McFly in the "Back to the Future" trilogy. Items from the "James Bond", "The Godfather", "Harry Potter", "Batman", "Aliens", "Star Trek", "Blade", "Tomb Raider" and "Men in Black" series were also up for grabs. Other classic movie items sold include the robe worn by Brad Pitt's Tyler Durden character in "Fight Club", a Wonka bar from "Willy Wonka and the Chocolate Factory" and Johnny Depp's unique costume in "Edward Scissorhands".